These photographs were taken by our client's drivers at the scenes of minor accidents using ACCI-CAM cameras. 1. Shows the minimal damage caused to the bonnet of a Third Party car when our Client's commercial vehicle rolled backwards slightly at a road junction. Imagine our Client's surprise when they received correspondence from solicitors acting on behalf of the car driver alleging the car was undriveable as a result of the damage caused and claiming for repair costs and hire car charges of £2,352 plus compensation for an alleged whiplash and back injury suffered by the car driver. In all solicitors submitted a Third Party claim in excess of £7,000! 2. Shows the dent caused to the front offside wing of a Third party car by our Client's commercial vehicle following a minor collision on a roundabout. Solicitors acting on behalf of the car driver submitted a claim for repair and hire car charges of £3,914 plus compensation for whiplash injuries suffered by the driver and two passengers in the car. 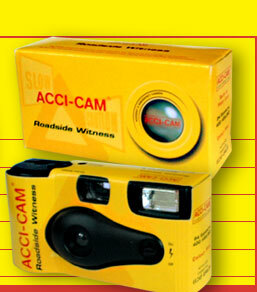 These are examples of the type of Third Party claim that may be successfully made against you if your drivers are not equipped with ACCI-CAMs to record crucial evidence at the scene of an accident. 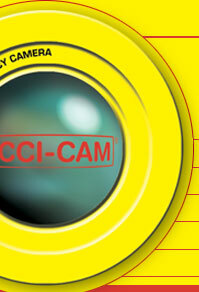 ACCI-CAM is a registered trademark. ROADSIDE WITNESS is a trademark.